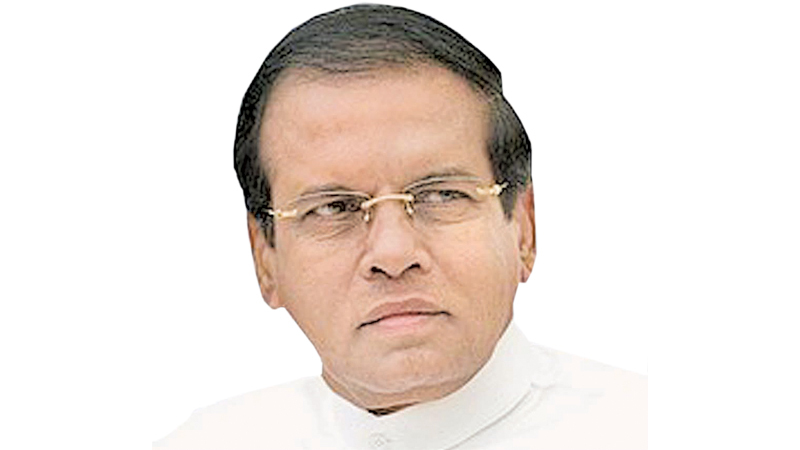 President Maithripala Sirisena urged youth to be ready to take up challenges to enlighten their lives and to create a prosperous future. The President said so after launching the Smart Sri Lanka programme at the Sri Lanka Institute of Career Guidance (SLICG) in Polonnaruwa yesterday. The programme was held under the theme ‘Driving youths towards success,’ a youth coordinating centre called “Smart City” was commissioned by the President. The SLICG which is the main career guidance programme, will be the driving force of youths towards prosperity. Smart City offices will be opened countrywide in a few months to guide the youths. Addressing the gathering, the President said that youths, who are the driving force of the country should get ready to take up challenges since nothing can be achieved without being ready to face obstacles or failures. He called upon the country’s youth to take his life as a role model as he never hesitated to take up challenges and his entire life is filled with accepting challenges aiming to reach desired goals. The President said that an attitudinal change is needed to take up challenges. “An attitudinal change is essential to change our traditional thinking pattern to take up challenges. No one can win life without taking up challenges. Besides, without taking up challenges there won’t be a productive future life and as a whole there won’t be a productive country. Similar to passing examinations, it is needed to take up challenges to win life.Courage, dedication, determination, devotion and ready to accept challenges will guide you to the desired goal,” the President noted. President Sirisena said the SLICG will streamline the career guidance sector while doing the linking part. Speaking on the public service, the President although there are around 1.6 million public servants in the country, their productivity rate is just 30 per cent.“If this productivity rate can be increased to at least 70 per cent, the picture will change dramatically,” he noted. The President added that public service cannot be utilized as the tool to reduce the country’s unemployment rate. He added that in most developed countries there are around 5 per cent state servants but the rate in Sri Lanka is over 8 per cent. The Smart Sri Lanka programme will pave the way for reducing the unemployment rate and to take the country on a progressive path. “According to statistics, country’s unemployment rate is 6 per cent. But it is somewhat difficult to believe this considering the high poverty level in the country amounting to over 40 per cent,” he noted.